1.Girl can never had enough clothes in their closet. 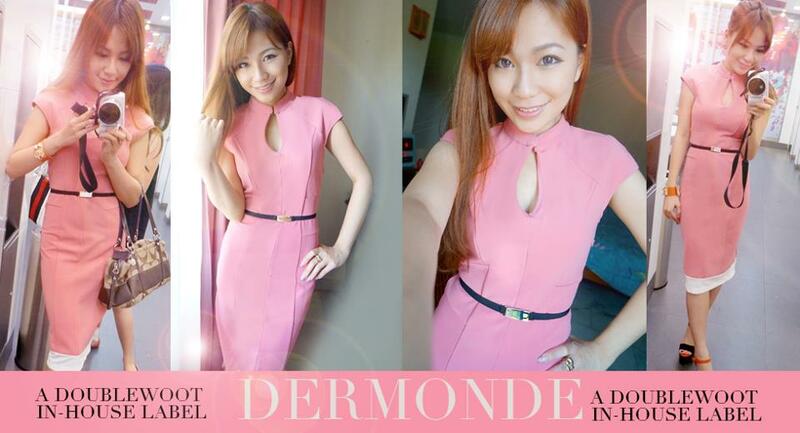 Doublewoot's exclusive in-house label, Darcey reversible modedress. Their dresses are tight fitting dress that bring out your figure. I'm happy i found proper fit dress. Details : Featuring colorblocks, structured cut, attached belt, hidden side zip. Can we worn front and back for complete versatility! 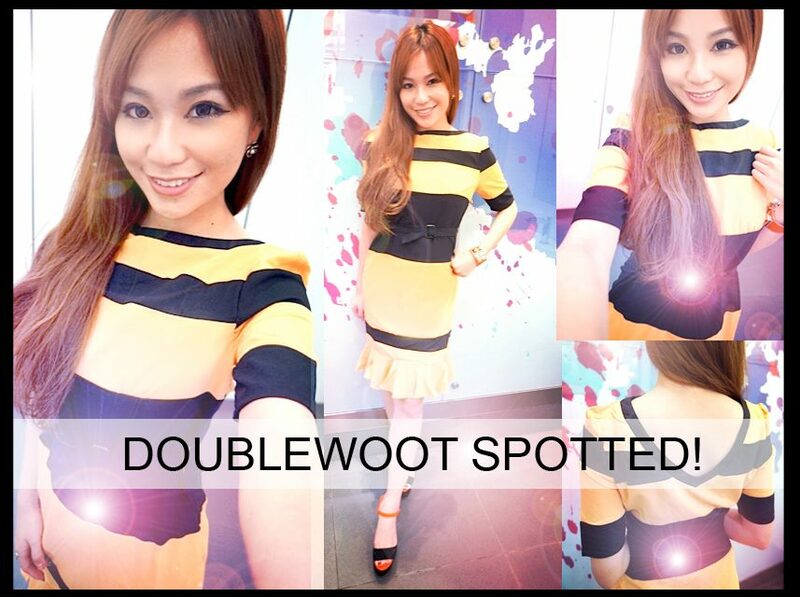 Doublewoot would like to give one of my lucky reader a free dress! 2. Pick one of your favorite dress from their website. 3. Leave a comment down here & answer how will you style with the dress. THAT'S IT! Finally change my manicure after one month. 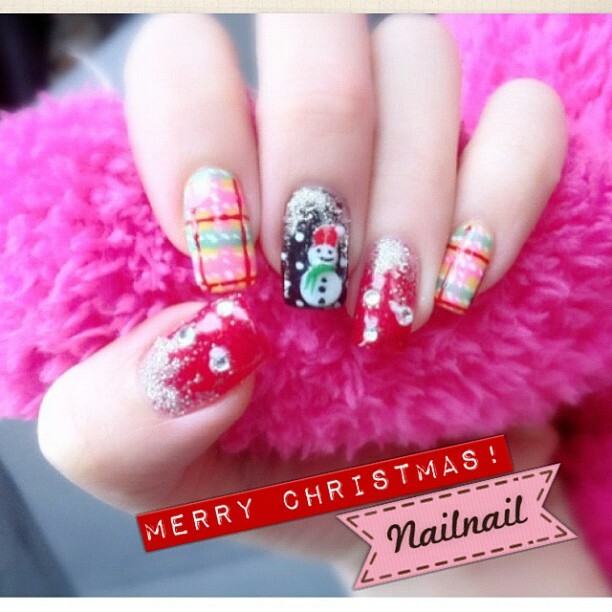 Christmas is just around the corner and this is my current nails art ! Did my colorful nails here,They are having promotion now.. The contest is end ! Thanks everyone who participate,really appreciate that. My favourite dress from double-woot.com is Diedre Crochet Dress (Black). I will style it with my pair of brown wedges from Charles & Keith and Pink Chanel Flap Bag to add a little elegant but yet remain the feminine side of the dress ! my favorite dress from Doublewoot is Natisha Embroidered Skater (Pink) as the dress will not be too sharp but strengthens feminine charm at the same time with lace and embroideries. besides, the dress suits a formal dinner, romantic date or even party that might happen on an Xmas night. I will style with a black high heels and a pair of floral earrings. 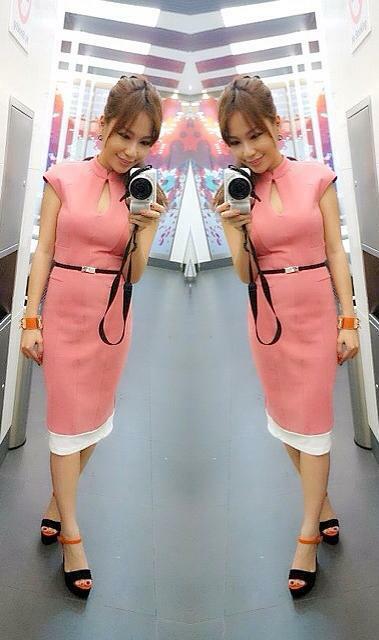 My favourite dress is Dornelia Pleated Skater by Doublewoot (Orange) because this dress an make me shine in all parties!! I like the fully flawless pleated skirt, which can make me looks younger. The quarter sleeves can keep me warm as I am kind of scare of cold. I will match it with a pair of black high wedges, black belt and a gold clutch. I love the Darissa Lace Dress (blue). This particular lace dress has a classic look and am sure any gals in this lovely lace dress will look stunning! I will pair up tis lovely dress with a chunck of pearls mixed wth silver bangles and a silver clutch with a pair or white stilettos. This dress will be perfect for first date or now the festive season, i can wear it for christmas dinner. I like the second dress.